Mamma Mia is one of the most famous Italian restaurant in the area. This is the perfect place if you want seasonal specials, pizzas and Italian classics in a relaxed place run by the same family since 1984. The restaurant is a family business owned by Nella and Gianni Massimo. 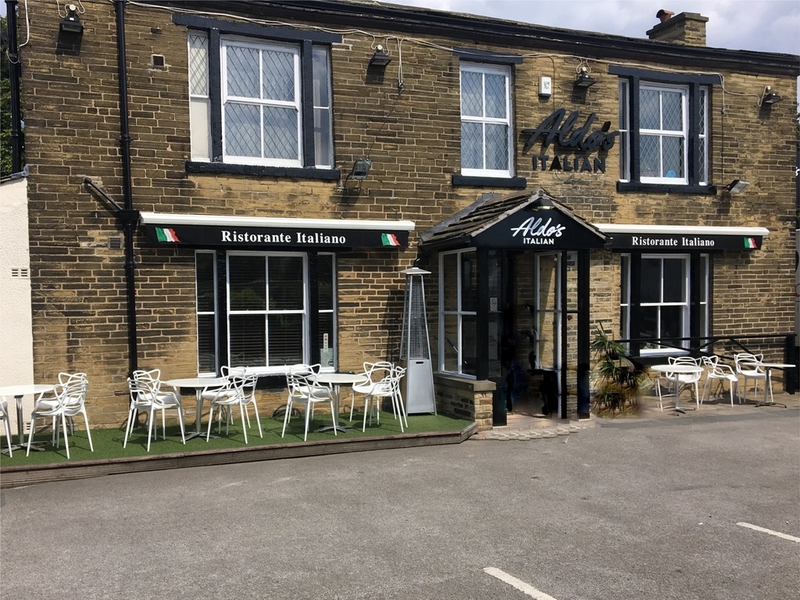 They’ve been preparing and serving authentic Italian food in Bradford for over 30 years. Mamma Mia’s standard menu contains an extensive range of vegetarian dishes. In addition, the restaurant offers frequently-changing special dishes, featuring seasonal produce. It also provides an early bird menu for the first two hours of evening dining, offering value prices for two or three courses. San Angelo is a grate restaurant if you want good food and a cozy atmosphere. You have to try the pizza and the pasta, after all it is an Italian restaurant. Apart of the delicious food the staf is warm and friendly, making you feel extremely welcome. Angelo, the owner, always comes to your table for a chat and catch-up. Angelo is very passionate and you cand see this. He was born in Baildon with Italian parents and he got his first job at the age of 15. 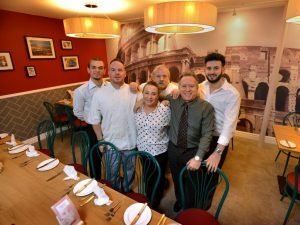 He started his carrer at the local Italian restaurant Mamma Mia on Manningham Lane and in 1990 he opened his first business in Saltaire, “Pacino’s the restaurant in your home”. It was one of the Italian takeaways that served a menu similar to a restaurant. In 1995 Angelo’s “The True Taste of Italy” was born. Aldo’s Italian is a cozy restaurant that gives you the privacy you need. This is a family business and the main goal is to create the atmosphere of an authentic Italian trattoria. On the menu you can find the antipasti, the clasic dishes like Lasagne al forno, Canneloni, Ravioli or Risotto, pasta or pizza. ​The restaurant has a fully-licensed bar and reception area, easy ground floor access on-site parking and parking in the surrounding area. This restaurant is located in the center of the city and is the perfect pit-stop after a long day of shopping. Here you can taste delicious italian dishes like pizza, pasta and risotto. You also have the choice to serve Vegan and Vegetarian dishes. The design is very chic and fresh. Zizzi has also outdoor seating, so you can enjoy not only the great food but also the sun. Il Tartufo is an Italian restaurant serving traditional Italian dishes combined with Mediterranean flair. This is yet onather family business owned by Adriano & Gyanny. This restaurant has fantastic food and great atmosphere. The restaurant offers comfortable seating with continental style. There is plenty of room to accommodate private function, birthday party or celebrations.